VoIP Security solutions focused on removal of Fraud, T-DOS, & Privacy breaches. VoIPstudio is a cloud-based business phone system created especially for organizations that require professional communication features without having to own and manage an onsite telephone system. Our mission is to provide reliable services to more and more IT & telecoms companies, whilst maintaining the quality of our infrastructure. To ensure the connectivity of our clients Internet and Voice services are fast, reliable and of the best quality. Voipfone provides award winning, reliable and inexpensive advanced cloud based telephone services specifically designed for small businesses. We are a hosted VoIP specialist offering a range of services, from our bespoke mPBX interactive call flow manager, to Office 365 Skype for Business integrations. With 10+ years’ experience in the hosted VoIP field we have developed an initiative all in one portal to control all your hosted IP telephony needs. 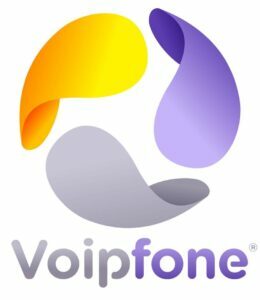 VoIPLine Telecom can offer you a flexible, reliable and feature rich service without breaking the bank. Vonage is a leading provider of communications services. We allow people to make phone calls over the internet. And we're proud to say we have about 2.4 million customers. Voxbone believes in a world where ordering and configuring telecom services is as simple as buying any internet service. Voxbone's role is to provide an automated and quality access to the global voice network infrastructure by combining the main advantages of the current system with the advantages of all-IP. Voxhub is a new type of Telephone Company, purpose built by a team of seasoned Internet professionals with skills in service creation, software and IP networks. Voxhub replaces the 'old school' model that consists of traditional lines, PBX, multi-vendor and telecom reseller with a direct to customer, single, consistent, integrated end to end service. The world's largest manufacturer of cordless phones with 40 million handsets shipped last year, VTech now makes a range of SIP handsets and related devices for business with all the features and backup that ITSPs require. VTSL specialises in hosted IP phone services designed specifically for organisations that need a highly capable system that is also easy to use. This next generation business phone system is offered at an affordable monthly rate and boasts all the features modern businesses need to get ahead. xoomtalk provide a variety of services including an array of VoIP related products, hosted VoIP solutions, Internet connectivity, consultancy as well as a range of communication and connectivity hardware.